FREE SAMPLES (FS), a “Sidewalk-to-Table” edible weeds project at the Crop Shop farmers market at the Kuhio Park housing towers, the University of Hawai’i campus and other sites. TAKE = act without shame LEAVE = share without condition WHATEVAS = trust without apology Eating in Public implements interventions in public & private spaces to make trouble with - & fun of - capitalism & the state. Our activities are primarily spontaneous &/or unauthorized sharing of goods (such as FREE GARDEN, FREE STORE, FREE FRIDGE, SHARE SEEDS, HI-5). We have initiated projects at over 1,000 non-art sites & occasionally participates in gallery + museum programming. Here, exhibitions take the form of distribution centers or how-to demonstrations. We intentionally eschew symbolic representational strategies & are willfully unconcerned with notions of originality, the sin qua non of the international art market system. Our efforts continue the long resistance of commoners everywhere to reclaim the commons taken from us. Hacking notions of authorship we also freely disseminate DIY instructions for anyone to replicate and/or improve upon our work. 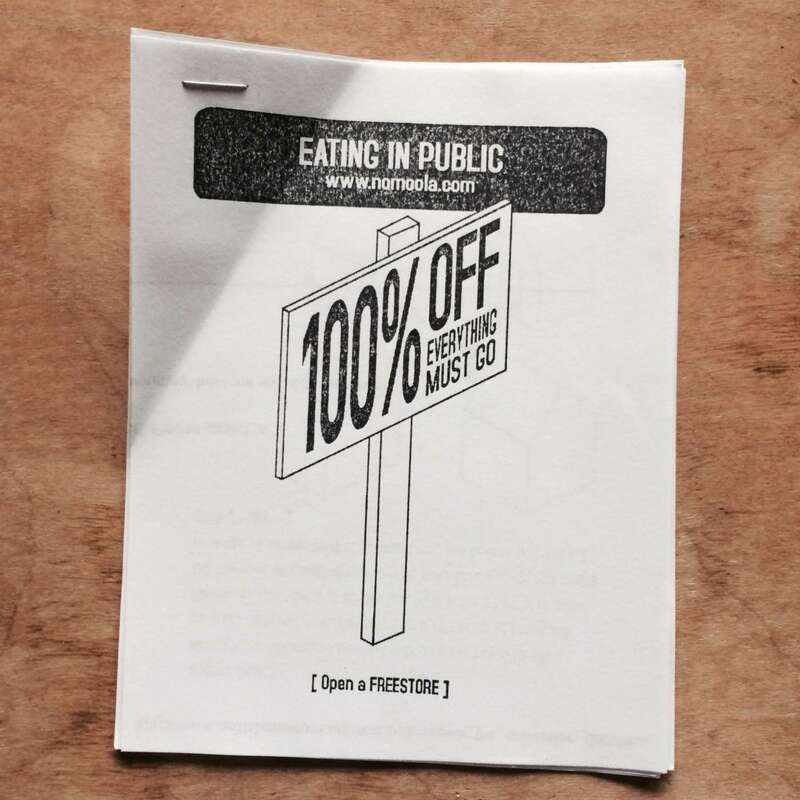 EVERYTHING MUST GO 2015, Eating in Public, Rubber stamped ink on repurposed paper. Courtesy of the artist. YES DIGGING 2005, Eating in Public, Acrylic and house paint on plywood. Courtesy of the artist. SHARE PIGEON PEA SEEDS 2012, Eating in Public Photo by Michael Broady. 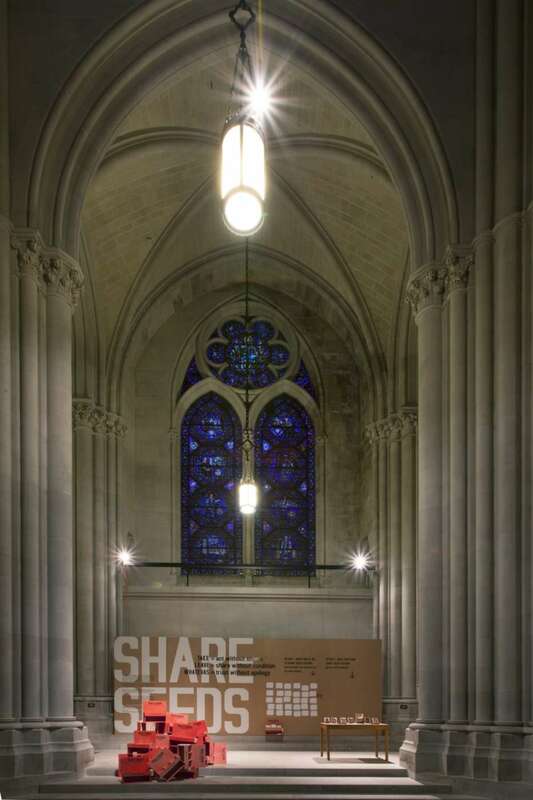 SHARE SEEDS AT STJOHNDIVINE 2015, Eating in Public, House paint, wood, vinyl decals, rubber stamps, repurposed paper and seeds. Photo by Alexa Hoyer.